In the medical services world, having a healthcare app isn’t just a good idea, it’s virtually essential to the success of your organization. This kind of app promotes deeper connections with the valued members of your community, all while bolstering consumer loyalty and creating a direct marketing channel for future interaction. Despite this potential, there are plenty of problems that can ruin this otherwise fruitful opportunity. To ensure that your healthcare brand or institution doesn’t fall prey to these unrealized expectations, join us as we outline eight of the biggest customer challenges that stand in the way of delivering a great healthcare app, as well as how to overcome these issues while working with a mobile app development company. 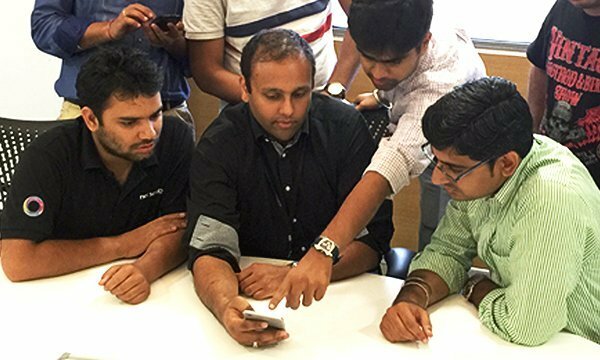 Turns out, having the best healthcare app warrants the services of an impeccable app development partner. The first challenge on our list focuses on the fact that building an app without a clear understanding of the needs and habits of your audience can lead to a project that lacks direction. Without proper data, it’s near impossible to forge a strong bond with the mindset of your target customers, and it can end up making your mobile app development company at fault. The Solution So how do you overcome the data shortage hurdle? According to Rizkiana Noivtasari of IBM MobileFirst, it’s all about working with a team of development experts or mobile app development services that rely upon data collection and implementation habits that keep consumer insight rolling from start to finish on this project. 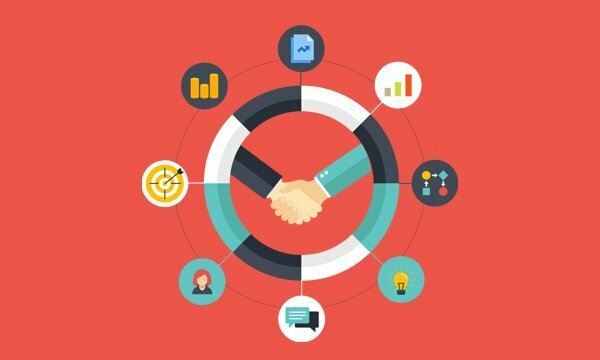 Whether you rely on first-party data from within your healthcare institution or acquire a data set from a third-party provider, selecting an app creation team that knows how to leverage the power of this information is vital to the success of your project, as well as the continued utility of this offering once consumers start providing feedback and usage data. When you start working with any app development company, they might or might not help you identify these areas of focus, and in the case of former, it could also enable them to suggest progressive changes to your app. 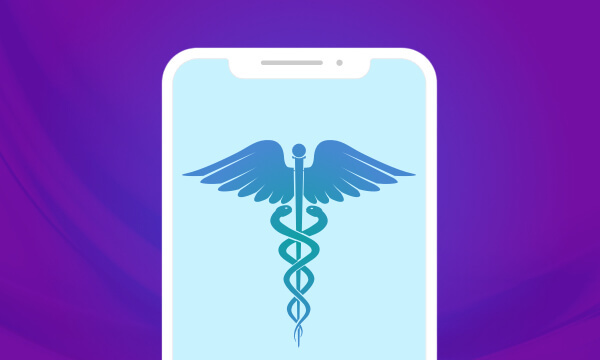 Like virtually any other facet of running a healthcare organization, it should come as no big surprise that your app must abide by the Health Insurance Portability and Accountability Act (HIPAA.) The alternative – a healthcare app that exposes an institution or brand to unnecessary risks and data breaches – can lead to severe fines, penalties, and backlash from users and patients’ rights advocates. Working with top mobile app development company firms can ease this part of the problem as they are well-versed with the norms of healthcare app development. What safeguards are in place to handle the loss of a device by one of your users? Is this app exposed to the threat of malware on compromised devices? Understanding these threats during development, as well as keying in on Food and Drug Administration (FDA) regulations and avoiding the misuse of push notifications and other mobile features, ensures that your healthcare app never suffers a crippling data leak or security breach. As mentioned earlier, these areas of focus must be discussed with the app development partner in advance. Alongside, some mobile app development services do have their own expertise to offer in this subject. One of the biggest challenges facing great healthcare apps is a user experience that is crippled by an unintuitive and difficult to use the in-app navigational system. Today’s customers simply don’t have the time or patience to muddle through this kind of experience, regardless of the functionality offered by your app, when so many other offerings provide an experience that is easy to pick up and use right away. The Solution In terms of delivering a healthcare app that is enjoyable and easy-to-use, it’s crucial that your mobile app development company tests the app constantly during the production process and run through numerous scenarios and unique events to validate the presence of an intuitive user experience. This quote from Ali Mirian of the Collective Bias marketing research firm, via Jennifer Lonoff Schiff of CIO, should serve as the basis of your developer’s ” less is more” navigational approach. Giving your users exactly what they want in an expedient manner, like the iTriage app shown below, ensures that this challenge doesn’t end up as an eventual roadblock during your app launch. 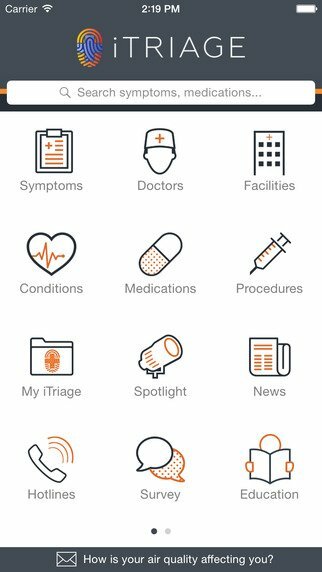 The simple and straightforward interface of the iTriage app gives healthcare users access to the features and functionality they crave, all without having to jump through a bunch of hoops to get the desired response. Despite what some industry players might tell your institution, there is no “one size fits all” approach to accommodating the needs of iOS, Android, Windows, and other platform app users. If you ignore the need for a quality healthcare app on each of these platforms, don’t be surprised when this approach leads to disenfranchisement within a significant portion of your target audience. 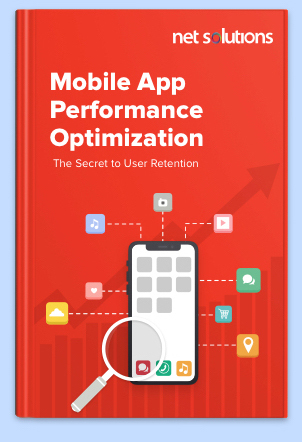 The Solution Overcoming this challenge starts by working with a mobile app development company that meets – and exceeds – the needs of each of the various segments within your base of users. For example, the recently redesigned and improved offered up by the institution of the same name provides fingerprint security functionality, appointment reminders, and even access to radiology images to users on a wide variety of mobile platforms. Some of the leading mobile app development services are taking some unprecedented leaps in the same domain, and it can prove to be helpful to consult with them. There’s no denying that this approach requires plenty of additional development time. However, delaying a project release date so as to accommodate more platforms is still a far better outcome than launching a healthcare app that marginalizes large portions of your institution’s digital community. Having a healthcare app that crashes constantly after launching to the public is one of the worst outcomes imaginable during the development process. Even with great information and functionality fitting into the picture, it’s hard not to understand why your audience of users finds this environment infuriating to work within as they try to browse through your app for medical supplies and related healthcare information. Consulting with your mobile app development company can be beneficial at this stage. Dropped Internet and network connectivity. Inability to redeem rewards and perks. Failed help and support functionality. By having a team on your side that implements a stringent series of quality assurance protocols, as well as enlisting the help of your prospective audience via focus group stress testing, there’s no reason why your institution has to suffer through the growing pains and limitations that come with a buggy or shaky healthcare app experience. 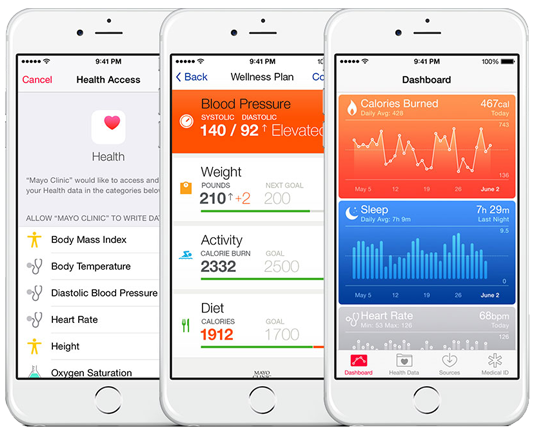 Today’s best healthcare apps aren’t just static offerings that hold a set or finite amount of healthcare information and functionality. This means that customers expect access to real-time features and functionality as part of a great in-app consumer experience. Failing to acknowledge this reality is a quick way to end up on the losing end of the mobile-based health solution (mHealth) arms race. The Solution The best way to overcome the challenge of remaining on the cutting edge of this healthcare consumer demand, according to Nicole Lyn Pesce of the New York Daily News, is by committing to a development approach that incorporates live chat functionality and other real-time features into your app. The expertise of your app development partner will be critical at this stage. Pesce points to an mHealth app like Maven as the perfect example of real-time feature integrated into the mobile experience. 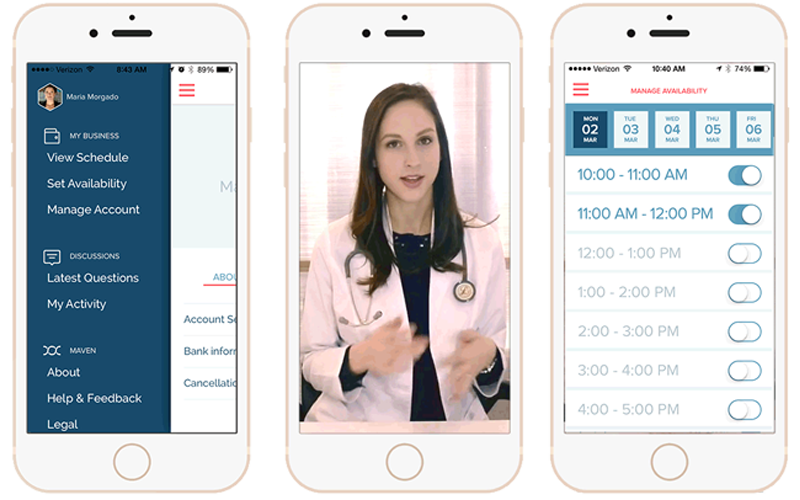 This app provides users with the ability to video chat with live healthcare professionals as they explore and seek treatment for a variety of feminine health issues. Naturally, following in Maven’s footsteps requires not only working with a team of efficient mobile app development company and development professionals who know how to successfully integrate this kind of functionality into your healthcare app experience, but also via the enlistment of trained medical experts to handle and manage these incoming queries, concerns, and comments. The above quote, from Reda Choufffani of Tech Target, stands as a prime example of the modern approach to hospital electronic health record (EHR) management systems – everything feeds into other channels to ensure an expedient and accurate response from medical professionals and patient-based queries. If your healthcare app can’t integrate with these in-house systems, then it’s only natural for a disconnected and inefficient bond to arise between these two crucial platforms. The Solution If this doesn’t line up with your desired healthcare app outcome, then your mobile offering must connect to in-house management and records systems via intuitive and accessible shared channels. The best way to go about this process is by requesting that your development team take a vendor neutral approach to the creation of your app. By doing so, you can ensure that this asset tethers to multiple management systems and provides a flexible and easily integrated experience for both consumers and medical professionals alike. For most institutions and healthcare brands, the day that your app hits Google’s Play Store, Apple’s App Store, or any of the other mobile marketplaces is often seen as a time to let out a sigh of relief and congratulate the development team for a job well done. While there’s nothing wrong with this outlook at first glance, the truth of the matter is that no app is without room for improvement. If you’re not willing to be open to reiterations, optimization, and the influence of consumer feedback, then it’s unreasonable to assume that your healthcare app will ever enter the ranks of the leading offerings within the mHealth community. The Solution In order to achieve this level of excellence, your team of app creation professionals or mobile app development services partner must always remain committed to constant refinement through the course of this app’s useful life. Additionally, it doesn’t hurt for your organization to also embody this mindset moving forward. Consumer feedback in the form of surveys and support claims and complaints, as well as keeping track of reviews and recommendations of the various app stores, help serve as the foundation for this commitment to healthcare app excellence. From here, maintaining a healthy and active discourse with your chosen development team via active channels of communications ensures that you have the ability to respond in real-time to any pressing issues or concerns that arise in the future. Your brand and its chosen app development team lack strong data on the mobile habits and needs of its target audience. Coming up short in terms of HIPAA compliance and the protection of private client information. Failing to create an intuitive and easy-to-use in-app navigational system and infrastructure. Your app doesn’t accommodate service for multiple platforms and various devices. Integrating this app with hospital management systems is vital to the success of the institution and the apps positioning within the in-house ecosystem. Customers demand access to real-time features and functionality as part of the in-app consumer experience. Failing to properly test for bugs and other quality assurance issues before the launch of your healthcare app. Assuming that just because your app is live, you’ve completed the process of delivering an effective healthcare app. Fortunately, by acknowledging this information now and generating an acute understanding of these problems before your mobile app development services start laying out the coding framework for your healthcare app, you can guarantee that every step of this journey invariably leads to a satisfying – and effective – in-app consumer experience. As much as the experience, finding the right mobile app development company is critical to the success of your healthcare app. The word HIPPA Compliance is very big in HealthCare and you need to filter data very carefully. The mistake which developers generally do is by marking which data is HIPPA compliant and always filtering it during feeding service layer, but in-fact it should be done otherwise to be 100% safe I.E. Mark data fields which are not marked for HIPPA and only feed those to service layer. Implementing this strategy make sure that if suddenly new field comes in with data and it is not exposed until unless it is requested explicitly to be shown. So it better to hide new data info than to show it, which you don't know whether it is under HIPPA compliance or not.